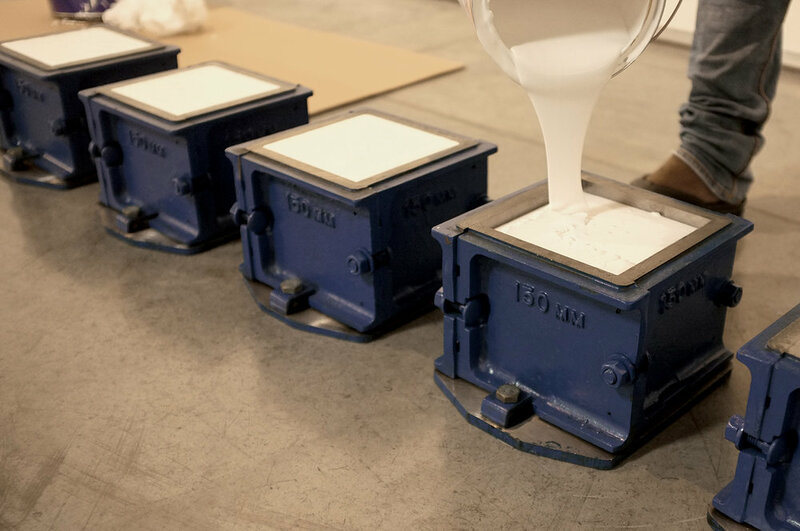 'Casting Failure' is a sculptural work where white paint is poured into industrial cube moulds. Having all surfaces of equal size, the cube has for long been revered as an ideal form. 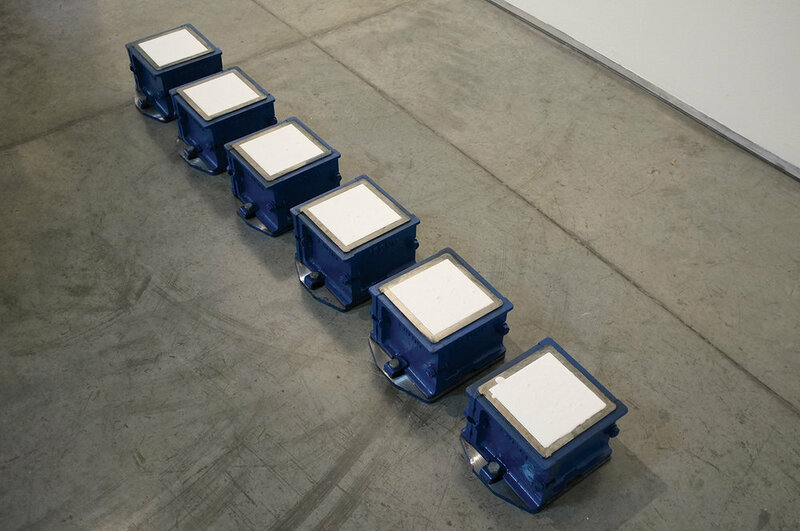 It holds an ideological scheme that is immaculately embodied by the white cube, which this work resists. The chosen material (paint) will dry and shrink over time*, failing to reference the cubic volume. 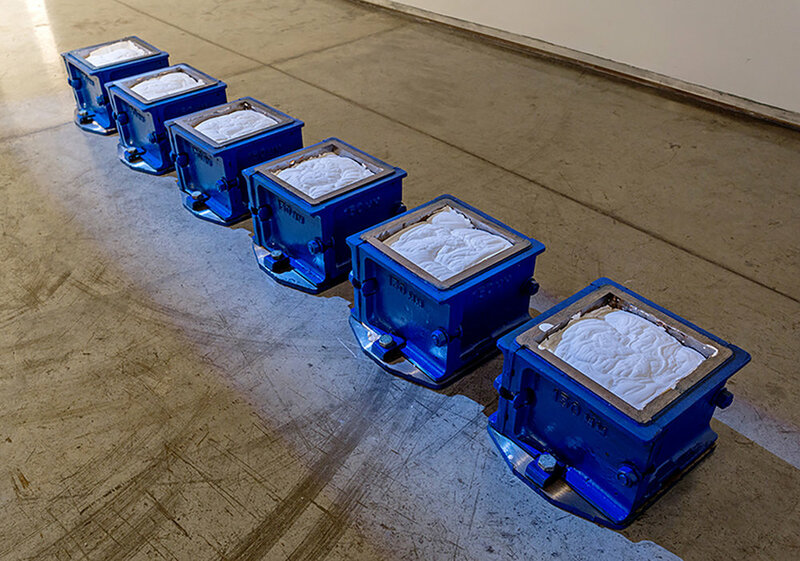 *Gallery Isabelle van den Eynde will exhibit the work until the paint mass is thoroughly shrunken. 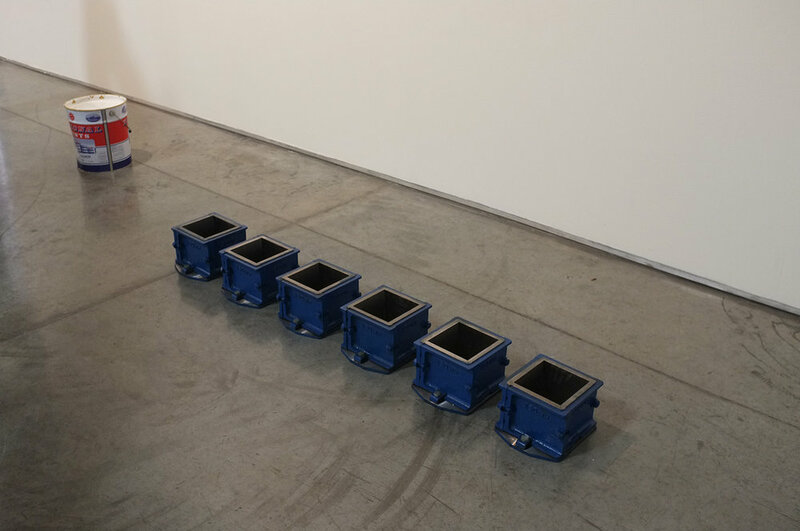 The paint was poured into the moulds on Sunday, 17 January, 2016, a day before the opening of the exhibion.